CANADA – October 2, 2012 – Ostara Nutrient Recovery Technologies Inc., a leader in the creation and marketing of a new generation of water treatment systems that recover nutrients from used water streams, announced today it has been named in the prestigious 2012 Global Cleantech 100, produced by the Cleantech Group, a leading global research and advisory firm focused on innovation in energy and the environment. Ostara Nutrient Recovery Technologies Inc. announced today the company has been chosen by Gwinnett County’s Department of Water Resources to install a new Nutrient Recovery Facility at their F. Wayne Hill Water Resources Center (WRC). 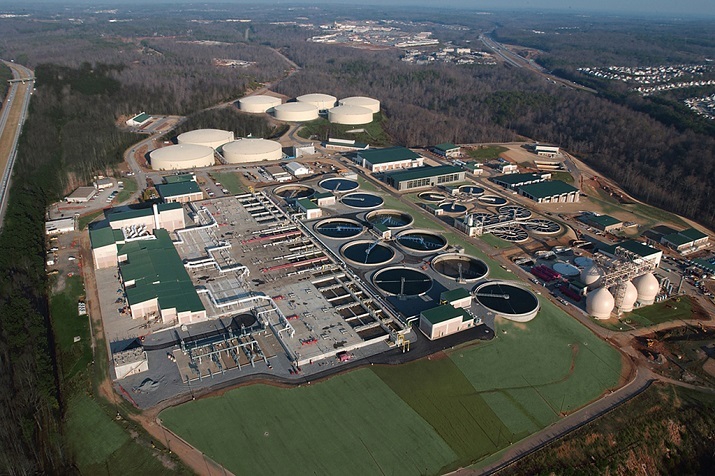 The company was selected through a Request for Proposal process in which Gwinnett County sought to find a technology provider to solve their nutrient recycle and struvite scaling challenges at F. Wayne Hill WRC. Ostara’s Pearl process will help Gwinnett County tackle these challenges at F. Wayne Hill WRC, by increasing operational efficiency and improving the economics of the facility. Ostara’s technology recovers magnesium, phosphorus and ammonia from used water streams and converts them into an environmentally friendly, slow-release fertilizer marketed and sold as Crystal Green®. “Ostara’s Pearl® nutrient recovery process will provide Gwinnett County with an environmentally sustainable and cost-effective solution to transform valuable nutrients from an operational challenge into a high-purity commercial fertilizer product,” says Steve Wirtel, P.E., Senior Vice President, Nutrient Recovery for Ostara. Gwinnett County’s F. Wayne Hill WRC currently meets stringent phosphorus limits using enhanced biological nutrient removal, but is experiencing challenges due to of the formation of struvite scale, a concrete-like mineral deposit which chokes process equipment, increases operation and maintenance costs, and threatens plant reliability. This is a common challenge in facilities such as F. Wayne Hill practicing biological nutrient removal and anaerobic digestion – which uses microbes to remove phosphorus and nitrogen pollutants from used water streams. The breakdown of these microbes in the digestion process causes phosphorus and nitrogen to be released back into the water which is returned to the treatment plant, requiring the pollutants to be removed repeatedly. F. Wayne Hill WRC also treats biosolids from the Yellow River Water Reclamation Facility, further increasing the phosphorus recycle load within the facility. “We are very impressed with Ostara’s technological solution. Not only will it solve our operational challenges with a solution that is cost-effective, and that ultimately saves money for Gwinnett County ratepayers but it will also benefit Gwinnett County by transforming overabundant nutrients into a fertilizer that can generate revenue. We look forward to working with Ostara on this unique public/private partnership,” says Adam Minchey, P.E., LEED AP, Special Projects Manager, Gwinnett County, Department of Water Resources. “Essentially, once implemented, the Ostara system closes the phosphorus loop, as valuable nutrients are recovered, and returned into the agronomic cycle through application by local growers,” says Wirtel. Gwinnett County’s F. Wayne Hill WRC has a further challenge: the County adds magnesium hydroxide to its collection system to control odors and corrosion. This practice increases the magnesium entering the F. Wayne Hill WRC. With all three struvite elements present, the potential for troublesome mineral deposits increases. F. Wayne Hill WRC will also implement Ostara’s WASSTRIP process which is designed to extract more phosphorus from the waste sludge before it reaches the digesters. This not only reduces struvite formation in the centrifuges, digested biosolids pipelines, and anaerobic digesters but also increases the amount of nutrients recovered by more than 60 per cent, which will result in the production of more revenue-generating Crystal Green fertilizer. F. Wayne Hill will be the fourth facility in North America to install WASSTRIP. Gwinnett County , GA, is approximately 30 miles northeast of Atlanta, with a population of more than 805,000 residents. The County owns and operates the F. Wayne Hill Water Resources Center (FWHWRC), a 60 MGD rated advanced wastewater treatment facility that utilizes biological nutrient removal (BNR), chemical tertiary treatment and ultrafiltration membranes to achieve effluent total phosphorus concentrations of less than 0.08 mg/L. About Ostara Nutrient Recovery Technologies Inc.
Ostara Nutrient Recovery Technologies, Inc., based in Vancouver, BC, designs, builds and sells a new generation of water treatment systems that recovers nutrients from used water streams and transforms them into an eco-friendly fertilizer, Crystal Green®. Ostara’s nutrient recovery technology was invented at the University of British Columbia and commercialized in 2005, when the company was founded. Ostara has four commercial nutrient recovery facilities in the US – at Clean Water Services’ Advanced WWTP in Portland, OR and in Rock Creek, OR; Hampton Roads Sanitation District’s WWTP in Suffolk, VA; and, at the City of York’s WWTP in York, PA. Ostara will complete construction of a nutrient recovery facility at the City of Saskatoon’s WWTP this fall, and at the UK’s Thames Water’ Slough Sewage Works in early 2013. Ostara is backed by VantagePoint Capital Partners in the U.S. and Frog Capital in the UK. In September 2010, Ostara was named a 2011 Technology Pioneer by the World Economic Forum, and has been included in the Global Cleantech 100 consecutively for the past four years. For more information: visit www.ostara.com.